CSU Craiova will host FC Botosani in the third round of the Romanian Liga 1. CSU Craiova finished third last season in Romania and won the Cup, making it one of the most successful campaigns in the club`s history. 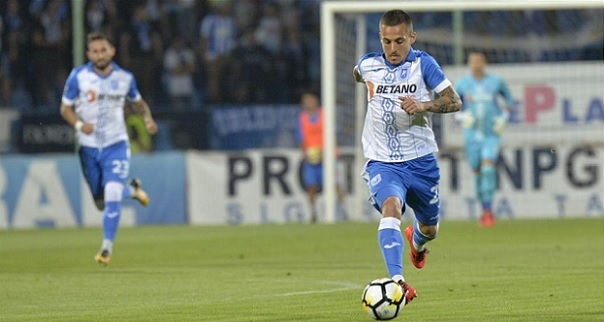 However, the start of this season has been a complete opposite for CSU Craiova, as they lost the SuperCup and claimed just one point in the first two rounds of the league – failing to score a single goal in these three games. The bad results aren`t completely surprising though, given that Craiova lost 4 key players in the Summer, including their top man Baluta, without bringing in proper replacements. In fact, only two of the new signings have broken into the team so far – one of them being the keeper. FC Botosani started the season in style, claiming four points in the first two rounds – a draw away from home at reigning champions CFR, and a comfortable 2-0 home win against Liga 1 newcomers Hermannstadt. Botosani will try to finish Top 6 and reach the playoffs this year, after narrowly missing out on this achievement last season via goal difference. The visitors also lost a couple of important players, including their young star Morutan, but they brought in some replacements and they were never a team to rely too much on individual talent anyway. Bet on Craiova vs Botosani and claim your 100% (100 Eur) freebet at Ohmbet now! Craiova could miss first team regulars Dimitrov and Glavina. Botosani hasn`t reported any new injuries or suspensions. CSU Craiova is not quite the same team as last season, and it`s obvious that the departures of first team regulars like Baluta, Gustavo, Screciu or Zlatinski (who is still with the team but has been informed he`s no longer needed for some reason) have hurt them badly. Particularly losing Baluta (their best player) and Gustavo has been a big blow, as those were their two main offensive weapons and their creators up front. Without them Craiova looks lost in attack, especially as they haven`t made any signings in that area of the pitch to replace them. Craiova`s inability to score a single goal in the first three matches of the season is a definite proof of their current offensive struggles. Botosani is a good Liga 1 team and they will come into this match in good form. They have good rhythm and good confidence, which is in complete contrast to Craiova`s situation. The visitors have a good shot of capitalizing on the current circumstances and getting a result here. It`s also worth noting that CSU Craiova will make its Europa League debut next Thursday against RB Leipzig. They will have enough time to recover so they won`t rest any players today, but they might have that big match in the back of their minds. My tip will be Botosani to cover a +1 asian handicap. Even if CSU Craiova manages to get out of the crisis and play a good game, it`s unlikely they can get more than a hard fought win against a good Botosani side, so that`s where the security given by the +1 asian handicap comes in very handy. Prediction: CSU Craiova – FC Botosani 1-1. You make fair points, although I don`t think Craiova has much better players. It`s true that it`s a tricky league but that`s exactly why upsets happen rather often, and why it`s hard for anybody to win convincingly. Circumstances favor Botosani here and no way Craiova has more than 50% chances of winning (like the bookies suggest). I like my bet because even if I`m proven partially wrong, we can still get our money back. As for the 1x, I really think odds are too low to warrant the risk. We`ll see how it goes. Good luck, mate.